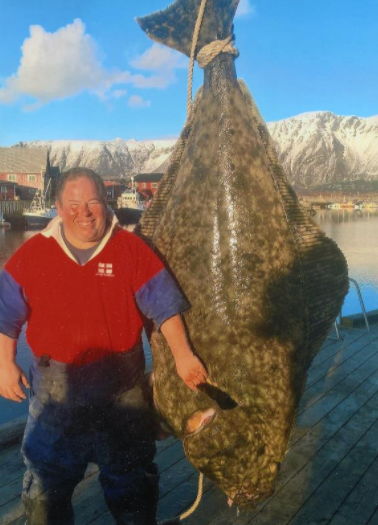 British angler Colin Searles caught this enormous 155 kg (341 lb 11 oz) Atlantic halibut on April 26th while fishing out of Laukvik, Norway. Searles battled the massive halibut for nearly an hour after the fish hit the pirk jig he was working from aboard the ‘No Problem II’, captained by Nigel Hearn. If approved, the catch will become the new men’s 24 kg (50 lb) line class world record, and will be the third heaviest Atlantic halibut ever recorded by the IGFA.